'They have stolen our revolution' Jump to media player An Egyptian opposition supporter explains why he returned to Tahrir Square today, as protests mark the second anniversary of the uprising. At least five die in Egypt protests Jump to media player At least five people have died and more than 300 have been injured during a nationwide day of protests in Egypt marking the second anniversary of the uprising. 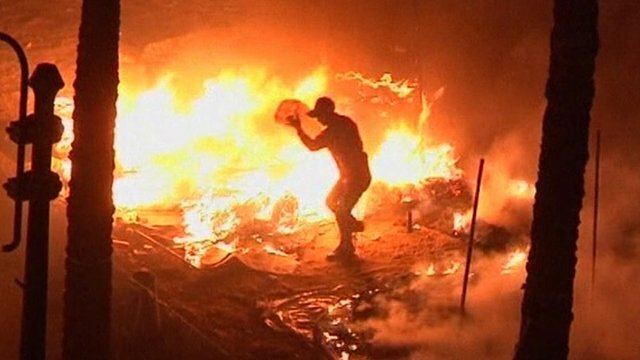 Cairo clashes on Egypt anniversary Jump to media player Protesters have clashed with riot police in Cairo on the second anniversary of the start of the Egyptian uprising which led to the downfall of Hosni Mubarak. 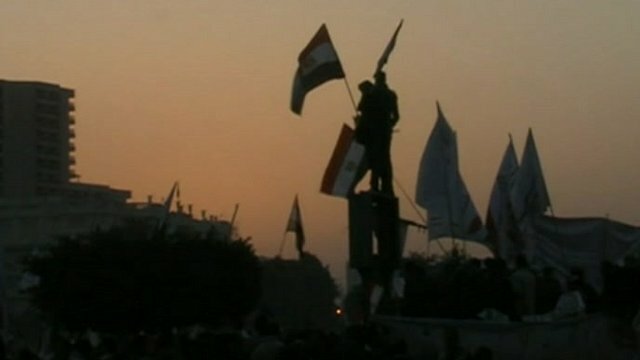 Egyptian opposition supporters have been protesting in cities across the country on the second anniversary of the uprising that swept Hosni Mubarak from power. 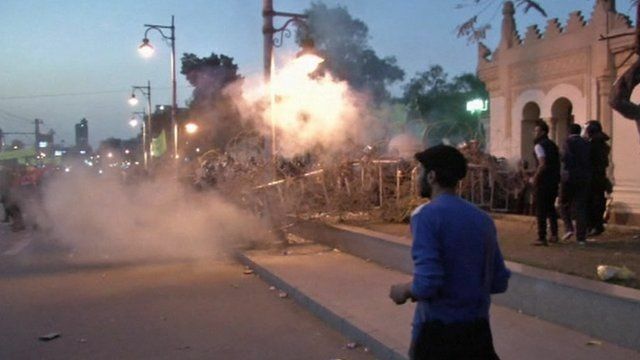 In Cairo police used tear gas to disperse demonstrators from outside President Morsi's palace, while protesters set fire to the Muslim Brotherhood's headquarters in Ismalia. Hany Ragy joined the protests in Tahrir Square several times two years ago. He told the BBC he had returned to Tahrir Square because "we feel our revolution has been stolen."